With top designers including sportswear in their runway shows, and everyone from fashion bloggers to your favorite celebrities wearing leggings and tracksuits just about everywhere, we can declare it official — athleisure is a major fashion trend to know about now. From the coffee house to a business lunch, picking up the kids from school, and even at cocktails, wearing workout gear outside the gym, and even mixing it with more polished wardrobe separates, is a major trend for women who want to look fashionable and current. But if you're used to carefully putting your outfits together, how do you know what to wear with workout clothes to look chic, without veering into sloppy? We're here to help, with inspirational outfits and fashion tricks from street style on how you can wear the athleisure trend now. Where to Wear It: We might not wear this outfit to work, but slim track pants styled with a pretty blouse and classic high heels pumps is a fashion forward outfit for wearing to brunch or gallery hopping. A slouchy grey sweatsuit can be surprisingly stylish (for real) with the addition of fantastic accessories. Here, furry cuffs, oversized sunglasses and a glamorous designer handbag (this one is Gucci) take grey sweatpants and a baggy matching gym top, and turn them into an actual outfit you could wear for running errands. Where to Wear It: Add glam accessories to a sweatsuit to pull your look together when you're picking up the kids, your laundry, or croissants for breakfast. Wouldn't it be great if you could wear your workout outfit from home to the gym, without worrying about looking sloppy? Here's a great example from street style of what to wear with leggings to make them look stylish, so you can cut down on changing room time (and turn heads on your commute). Where to Wear It: Leggings are a perfectly fashionable choice to wear for daytime, anytime, when you style them with a cute denim jacket, stylish ankle boots, and a trendy backpack or tote bag. Here's a date outfit that strikes the perfect balance between chill and fierce. A basic black hoodie brings a laid back vibe to a metallic mini-skirt and high heel sandals, for a going out look that's sure to earn you envy. Where to Wear It: Layer a slim sweatshirt under a blazer for casual work environments, or wear a cropped version over a high-waist skirt on a date. Layering a hoodie sweatshirt under a more structured piece is an easy way to work this trendy closet item into your outfits now, and participate in the athleisure trend. Here, a classic pea coat with pretty detailing makes a basic sweatshirt and jeans outfit look instantly more stylish. 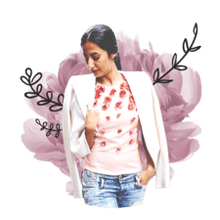 Where to Wear It: This is an easy outfit to wear on weekends, when you want to look unfussy and chill, but still pulled together. We love the go-to fashion editor trick of layering a great blazer over more casual wardrobe pieces, to dress up an otherwise basic outfit. Here, a blue boyfriend blazer adds polish to an otherwise super casual look in burgundy track pants and a simple tank top. Where to Wear It: Wear this dressed up, dressed down outfit when you want to impress a date, or for gallery events with friends. A hoodie sweatshirt can be styled in your wardrobe now, much like you'd wear a sweater. Here, an olive hoodie (and fishnet tights) helps to dress down a long leather skirt and sophisticated checked coat, making them feel more relaxed and effortlessly chic. Where to Wear It: This is a great outfit idea for shopping trips with your girls. Stirrup leggings are not only stretchy and comfortable, they can actually be styled to look polished for daytime. Don't believe us? Just take a look at this smart street style outfit, that matches "stirrup pants" with a pullover sweater, and a chic faux fur detailed coat that pulls the whole outfit together. Pulling your stirrups over the soles of your heels, as pictured here, to make them part of the outfit's appeal? Pure fashion genius. Where to Wear It: Wear stirrup leggings and a pretty sweater to your casual workplace, for meeting the parents, or at holiday dinners. Baggy striped jogger pants used to be strictly limited to the gym, but not anymore. Track pants are a major women's fashion trend this year, and you'll see this wardrobe staple cropping up in street style photos, fashion blogs, and your favorite celebrity Instagram feeds now. Here's one way to add polish to track pants for daytime wear, by styling them with high quality leather pieces. Where to Wear It: A black leather motorcycle jacket, high quality leather purse and shiny black loafers dress up track pants enough to wear to lunch, picking up the kids, or coffee dates with friends. It's a thing, and it's not as hard as you might think to pull off. Simply add basic white sneakers to any outfit in a dress, when you want to create a "not trying too hard" vibe. We especially love the way this move adds a fresh and youthful vibe to more ladylike or preppy outfits, as seen here in this street style fashion photo. Where to Wear It: To concerts and music festivals, or on a summer date.